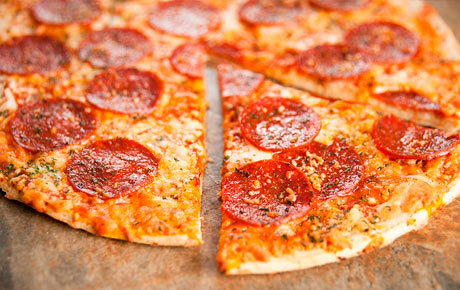 Hide deals from seller "Bucaro's Pizza & Pasta"
Limit 1 per person and 1 per transaction. Valid on a 12-inch specialty pizza, 3 mozzarella sticks, 3 fried mushrooms, 3 fried cauliflower and 3 fried zucchini. Valid for takeout or delivery. Delivery is free within a 9-mile radius. Must mention voucher when placing order. Enjoy an Italian feast with this deal for 26% off pizza and appetizers from family-owned Bucaro’s Pizza and Pasta in Schaumburg ($19 value). Feed yourself and a few friends with a 12-inch specialty pizza of your choice as well as mozzarella sticks and fried mushrooms, cauliflower and zucchini. From classic Italian and vegetarian pies to creative options like the chicken ranch pizza, Bucaro’s offers pizza that will please even the most discerning palates. While their famous thin-crust pizza is certainly one of the restaurant’s highlights, Bucaro’s also serves to-die-for soups and salads, calzones, pasta dishes and sandwiches. Their fun and friendly customer service will make you feel right at home, making this a great family-friendly dining spot. Family-owned and operated restaurant serving delicious Italian food in a warm and friendly setting.